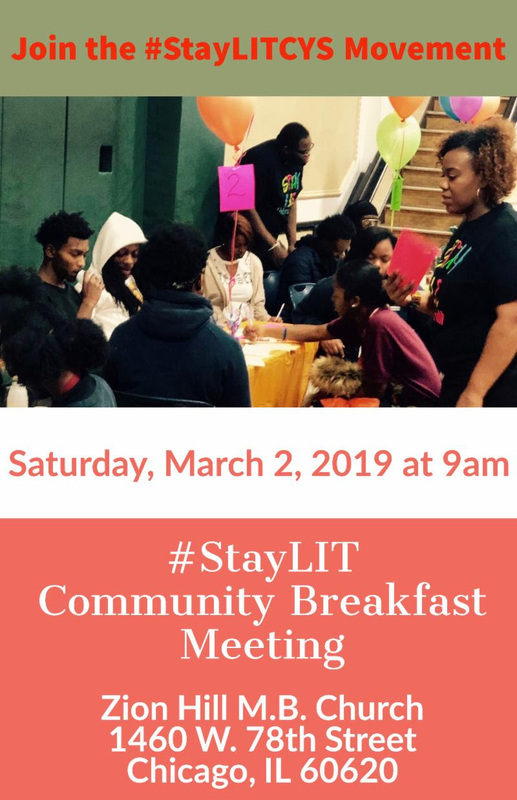 We're looking forward to our next #StayLITCYS FREE Community Breakfast Meeting on Saturday, March 2nd at Zion Hill M.B. Church located 1460 W. 78th Street at 9:00 a.m. Please make plans to join us. We will be reviewing data that has been collected thus far from conducting an assessment of the Auburn-Gresham Community, in an effort to determine the current and desired youth-related resources and services. If you haven't joined the movement by attending our previous breakfast meetings, what are you waiting for? We need all hands on deck. We're extremely excited to collaborate and share resources to make our community a safer place for our youth. 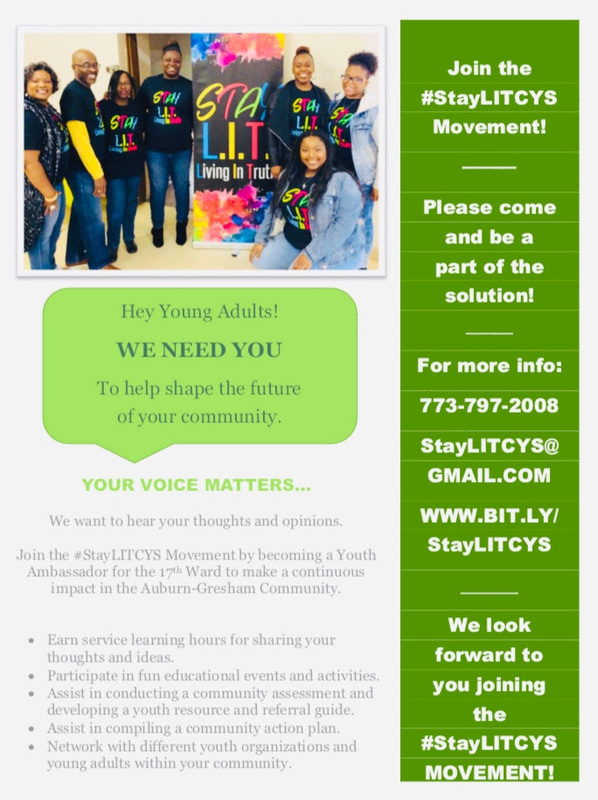 Our mission is to reduce violence and delinquency within the Auburn Gresham Community and we can't do it without your support, so please plan to attend our next meeting and bring some youth/young adults with you ages 11-24. See you all in March!